During my year in Milan 10 Corso Como used to be my favorite saturday-afternoon-hangout. Not necessarily for shopping but more to be INSPIRED. The music, the fashion, the people – all major trends could be spotted here. Carla Sozzani, former VOGUE editor and Italy’s style pope, founded this place almost 20 years ago. It is a beautifully designed concept store that hosts a great selection of designer fashion, furniture, design objects, music and books. Hidden away from Milan’s tourist area with its flashy designer-temples, 10 Corso Como has established as one of Europe’s most influential TREND BOUTIQUES. Alaia, Louboutin, Marni, Balenciaga…of course all these big names come with a hefty price tag! Luckily, the store now decided to cooperate with Net-a-Porter’s online-outlet “The Outnet” to sell one-of-a-kind pieces from past collections. Good for us! These Alaia suede pumps are my personal shoe-dream! Black suede, silver studds and an elegant classic shape make them worth the investment (564 €). 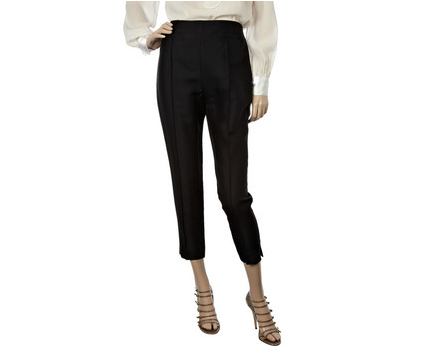 Perfect for going-out: cropped silk-blend pants by Balenciaga. Can’t go wrong with that at 275 €. 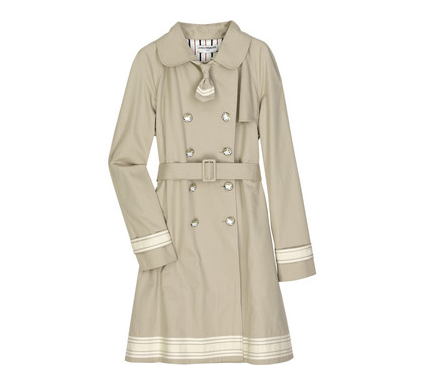 I fell in love with the details of this classic-cut trenchcoat by Charles Anastase (668 €). Also part of the 10-Corso-Como-selection at the Outnet: Marni, Prada, Bruno Frisoni, Christopher Kane, Bottega Veneta and MM6 by Maison Martin Margiela.